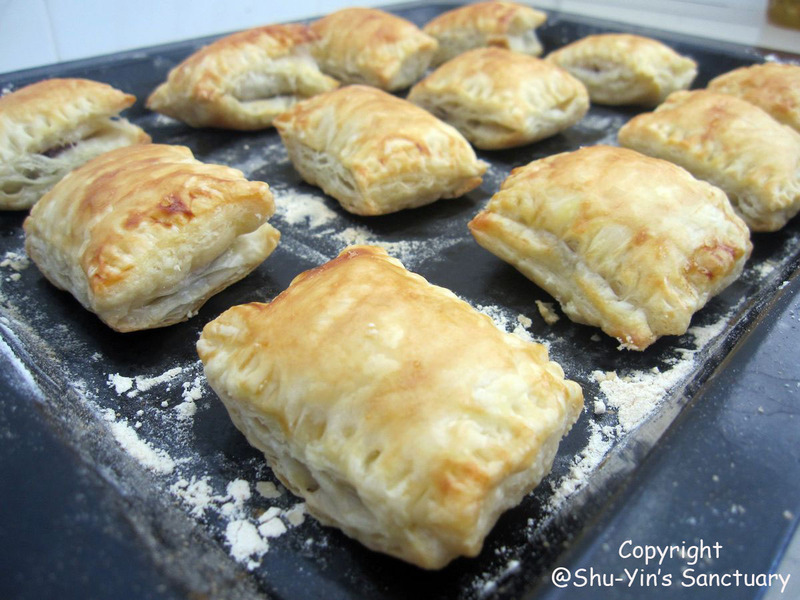 I still have a packet of store-bought puff pastry in my freezer. Since I just bought a bottle of Nutella spread from Tesco, I decided to make something sweet with that packet of puff pastry. 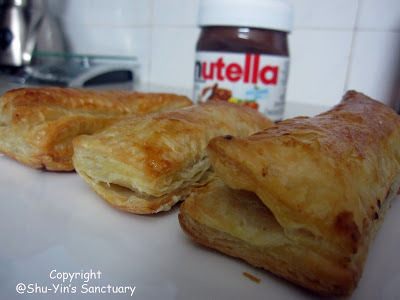 And I reckon that I will just whip out something sinful yet delicious. I think when it comes to Nutella, everything about it is delicious! 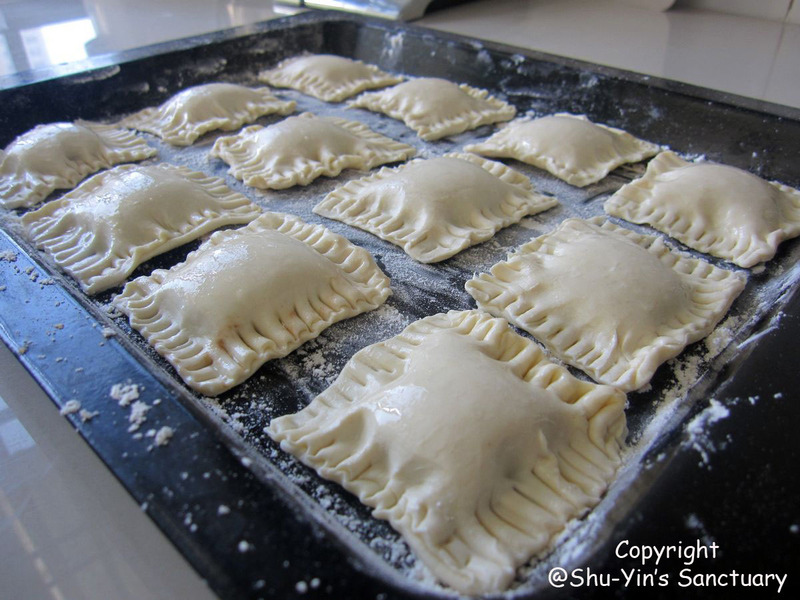 Earlier, I cut the pastry pieces into half (rectangles). Then the next day, I decided to make them even smaller so that we have more to share (mini squares). This is what they look like all puffed up hot from the oven. 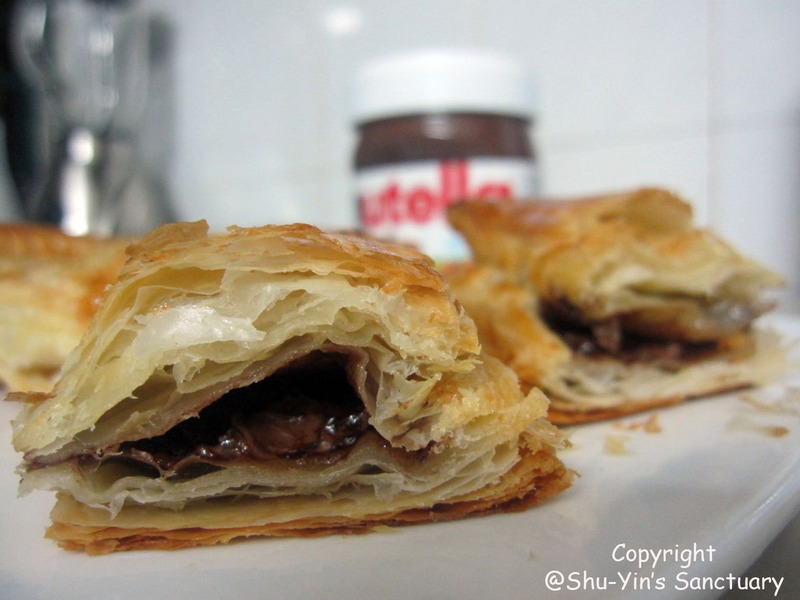 The inside oozes of delicious and warm Nutella spread. Preheat your oven to 200 degree C. Slightly flour your tray. 1. 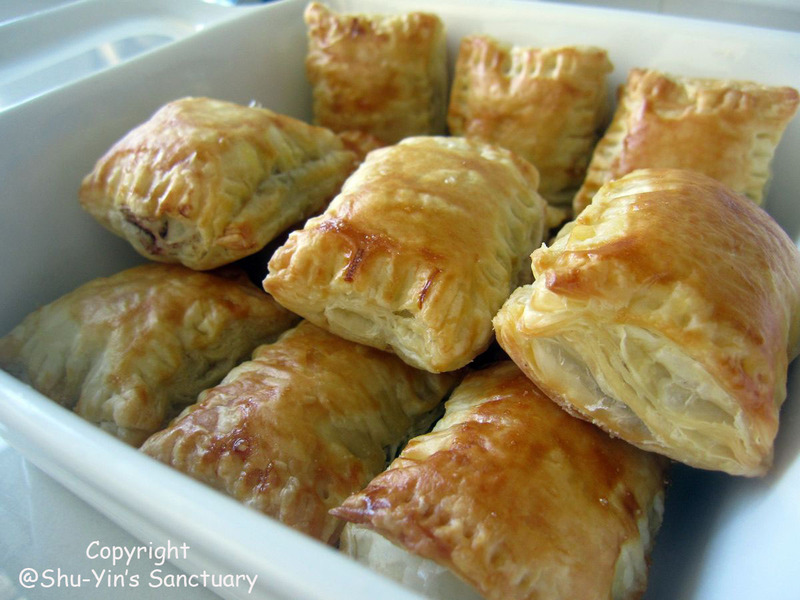 Bring the packet of puff pastry to room temperature. Cut them to desired size. 2. 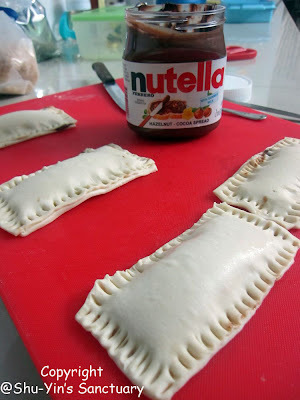 Fill the center with Nutella spread (I used about a heaped teaspoon of it). 3. Pinch the edges with your fingers. Then use a fork to make the design. 4. Lastly, brush the top of the puff pastry with egg white. 5. Bake in pre-heated oven for about 15 minutes or until golden brown. 6. Cool slightly before serving. Hi, can I know where u buy the kawan puff pastry in singapore? Hie, I'm not too sure as I am not from Singapore. I am from Penang, Malaysia.